At just twenty-years-old, Rachel Jensby finds herself faced with a desperate reality: either continue to hand her nineteen-month-old daughter over to the man who is sexually abusing her as the court has ordered her to do, or go into hiding to help her child escape the certainty of further sexual assaults. 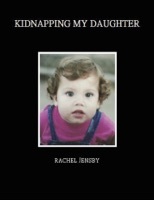 Kidnapping My Daughter is the true account of a mother who spent more than two years on the run, first from local and state authorities only, and then eventually from the FBI as well. As more and more children are faced with court-licensed abuse every day, Rachel Jensby hopes to be a voice among many; joining other mothers who are effecting change by finally finding the courage to come forward with their stories. Kidnapping My Daughter is an account of events leading up to, and all that transpired during, this family's life on the run. A second volume, titled Bringing Cheyenne Home, tells the story of what happened afterward - starting with the family's first day back in court and goes on to detail the tumultuous years afterward, including a peek into Cheyenne's life today.